Injuries are almost always a negative thing in sports, especially when they lead to a team’s star player being knocked out of action for the majority of the season. However, for the NFL stars who saw their season cut short in 2015, the opportunity to bounce back from a significant injury will allow them to re-prove themselves among the game’s best. For some, that situation may ignite a surprise Super Bowl run for their franchise. Several players — from quarterbacks and receivers to running backs and defensive standouts — missed much (if not all) of last season with heartbreaking injuries, which puts their abilities to overcome adversity on center stage next fall. Among the large group of wounded warriors, we think these five have the best chance to bounce back with award-worthy campaigns in 2016. Considered by many to be one of the best quarterbacks for the future of the NFL, Andrew Luck progressed nicely through his first three seasons in the league — culminating in a January 2015 AFC Championship game most of us are familiar with. However, in 2015, Luck struggled with injuries all season long, playing in just seven games. The situation seemed to affect his play when he was on the field for the Colts, as Luck threw 12 interceptions in those seven starts. Now, the former No. 1 overall pick must prove that the 2015 season was a fluke on his otherwise impressive football resume. Luck’s history tells us that he should have a big season coming off an injury, which could potentially get Indianapolis back in the playoffs. 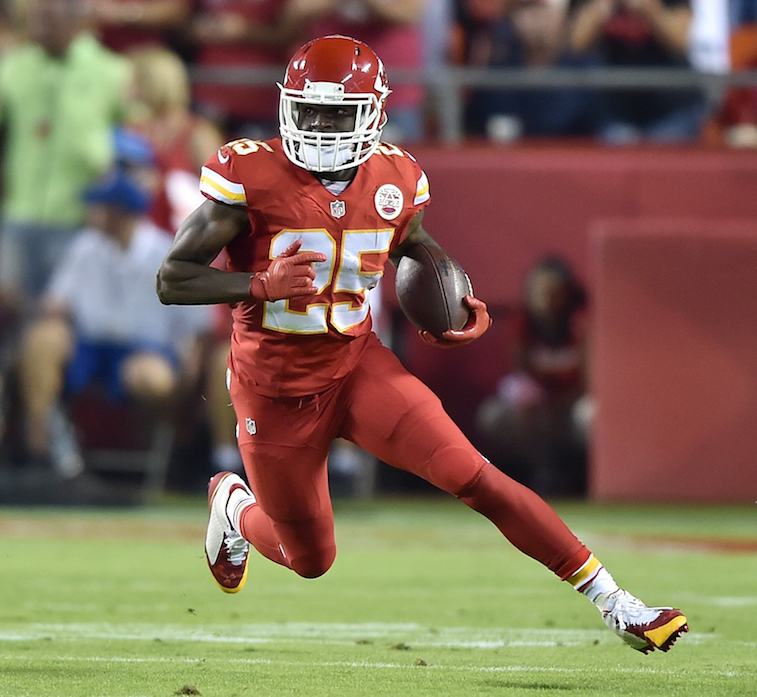 A great runner and receiver out of the backfield, Jamaal Charles is likely the most integral part of the Kansas City Chiefs’ offense. With nearly 10,000 career yards of offense and more than 60 touchdowns under his belt during his eight NFL seasons, Charles has made countless big plays for the Chiefs over the years, making it hard to believe that they could succeed without him. However, after he went down with a knee injury in just the fifth game of the season a year ago, Kansas City went on to win 11 games and reach the divisional round of the playoffs. If they want to get further, though, they will need Charles’ explosion in the backfield. Knee injuries can be difficult to recover from, but Charles has the athletic ability and talent to bounce right back in 2016 and reclaim his status as a top back in the NFL. Another dynamic, explosive running back, Le’Veon Bell’s 2015 campaign was almost a complete wash for the Michigan State product. After being suspended for two games to start the season, Bell came back with some nice games over a six-week stretch for the Steelers. In that sixth game, though, a knee injury ended his frustrating season, as he missed Pittsburgh’s run to the playoffs. Bell was coming off a season with over 2,000 all-purpose yards, proving that his talent is critical to the Steelers’ long-term success. With a full offseason to recover from the injury and move on from the suspension cloud, Bell could be primed to lead the NFL in rushing in 2016. If that happens, Pittsburgh becomes all the more dangerous in the AFC. When you saw how badly the Green Bay Packers struggled on offense — at times — in 2015, it was clear that the Aaron Rodgers-led unit lacked something of vital importance. 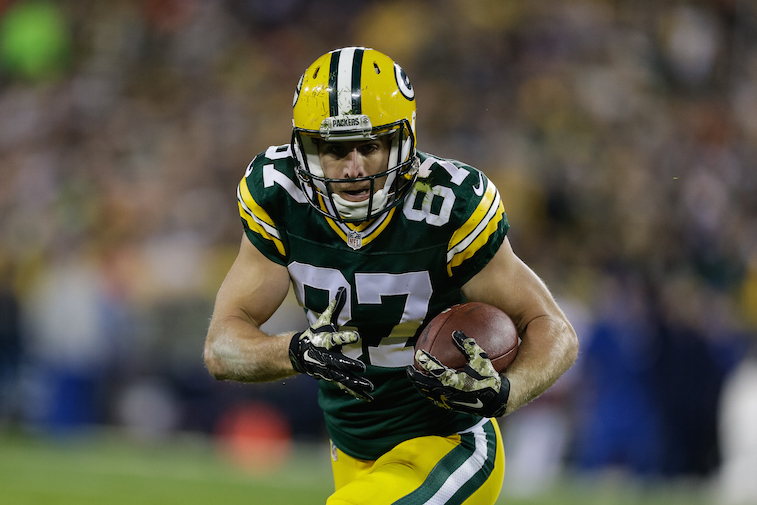 Jordy Nelson was the missing piece, as the reliable receiver sustained a preseason knee injury that cost him the entire season. The Packers failed to have one receiver go over 1,000 yards last year and needed miracle Hail Mary’s to make it as far as they did. With Nelson back in the fold, this will change and Green Bay’s offense will become immensely better. Unless there is some unforeseen setback on his road to recovery, expect Nelson to catch well over 100 passes and reclaim his status as Rodgers’ favorite target in 2016. For a guy who received endless amounts of criticism throughout his NFL career, Tony Romo’s absence from the Dallas Cowboys’ offense in 2015 made it clear just how important he is to the team’s success. In the four games Romo played in last season (when he wasn’t dealing with a broken collarbone), Dallas went 3-1. In all other games, they were just 1-11. Even with Romo getting up there in age and number of NFL seasons, he’s still one of the better signal callers in the game and has the ability to lead the Cowboys back from the depths of the NFC East in 2016. With some new toys on offense — including Ezekiel Elliott — Dallas could be a sleeper Super Bowl contender (that is, if Romo stays healthy).